A little bit of up is always worth it. Follow me when I give the signal! A little uphill skinning will allow us to access a vast, snow covered terrain. Ski touring comes in different flavours: day hits, multi-day tours and classic ski tours. Finding an empty slope of untracked snow is an unforgettable reward for skinning up a steep mountainside. So, whether you want to learn the basics or advance your ambitions, just bring your kit along! 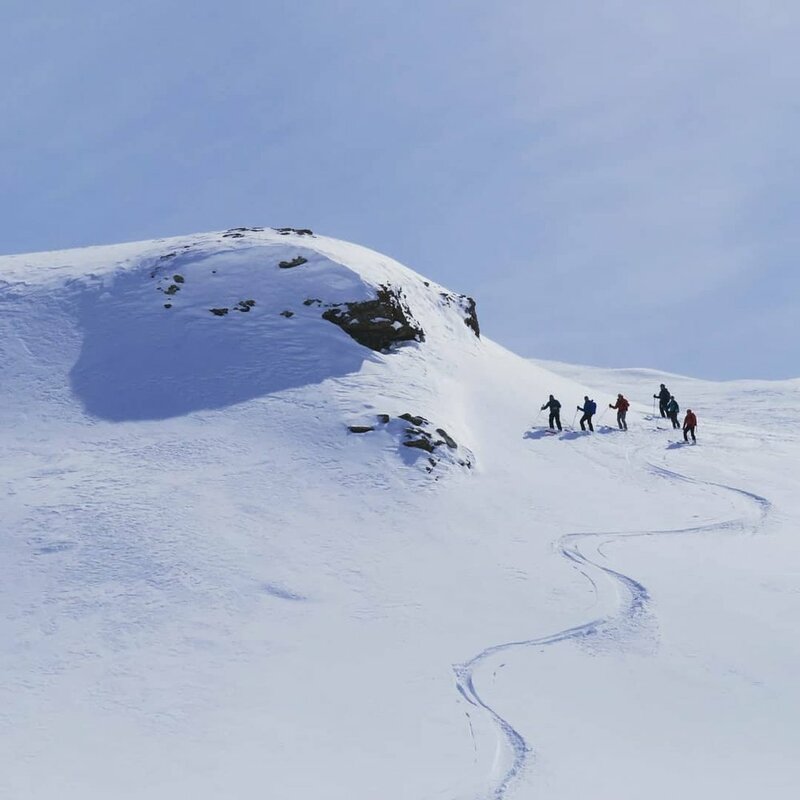 Ski touring does require specific equipment, which is shown on the ski touring kit list, but don’t worry if you don’t yet have it, as there are plenty of hire options. So, whether it’s the classic Haute route, day hits from your chosen resort or a flexible itinerary, ski touring will allow us to explore to mountains together in style and discover the skiing or splitboarding of a lifetime. More untracked snow too hoover up! Which line should we take? Would you like to experience the hut to hut skiing adventure? Would you like to put fresh tracks in somewhere? Is there an area of the Alps you would like to explore? With access to vast amounts of terrain, we are more likely to find fresh snow and amazing skiing. From a ski touring package you can expect to learn a great deal on the go. Every day will start with the essential equipment checks including transceiver checks and run through of the plan. 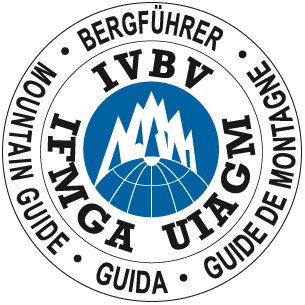 On multi-day ski tours, we start with a session on transceiver searching and emergency procedures, as-well as crevasse rescue training. Each day will be different, seeking out the best snow, stunning cols and peaks as well as learning skills along the way. Constant training will be given on route choice and hazard awareness, to help us better understand the environment we are going into. To begin creating the most unforgettable ski trip for you and your friends, just get in touch today.